Blended learning has become the latest educational programme to make an impact in today’s classrooms. From schools to universities, it’s being used to bring the digital world and in-class teaching together – but what benefits does it offer staff and students, and can it work alongside traditional teaching methods? Although learning outside of the classroom is something that students have always been encouraged to do, the recent explosion in digital technology has meant that teaching can now be far more engaging. Exploring how blended learning is being used inside and outside of today’s classrooms, Jeff Rubenstein, VP Product – Learning and Collaboration at video solutions company Kaltura adds: “Generally speaking in schools, more and more of the content delivery is being done via rich media and often on personal devices. 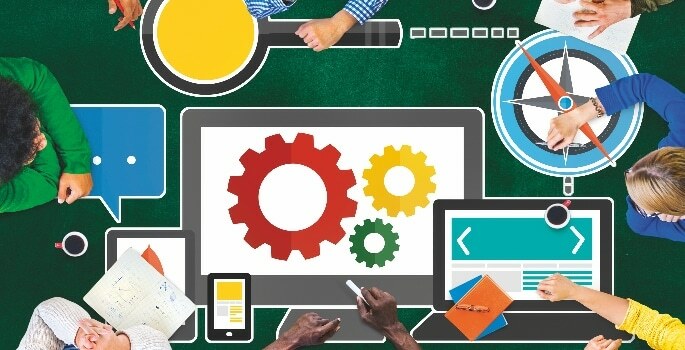 In universities, students are contributing more content of their own, both for collaborating with each other, for doing projects, and for assessment purposes. Rachael Hartley believes that the combination of traditional teaching and technology should be used to meet the preferred learning style of students, as well as supporting teachers. As she comments: “Technology can provide teachers with information on the progress and requirements of students, which maximises face-to-face contact and helps staff to design courses that allow more flexible delivery. Taking this idea further, Jesse Lozano, CEO and Co-Founder of education technology company pi-top, believes that technology has the power to truly enhance learning environments for the benefit of students – as long as teachers choose to adopt it. He says: “Flipped classrooms, where students watch short video lectures before attending class, offer one example of a blended learning tactic that could be more widely adopted. 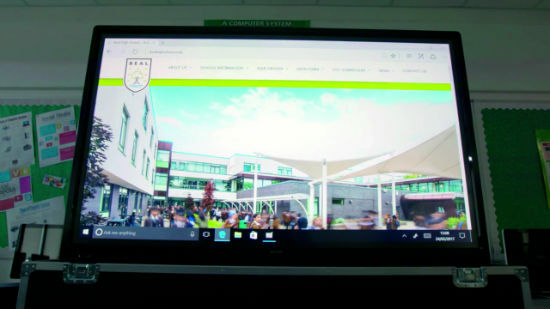 Sharp have been working with the Beacon Multi Academy Trust, providing them with the latest office technology (such as multifunctional printers and interactive flat panel displays) to make the use of devices in the classroom a relative norm. Tina Jacobs teaches Maths at Beal High School, and is a keen proponent of using technology in the classroom. Commenting on the use of technology in her teaching, she says: “One of the joys is that I can use whatever software I want, when I want, however I want. I use it for every single lesson. “In our healthcare science course, learning takes place through a unique combination of study weeks, workplace training, and specifically tailored and interactive online learning resources and live remote lectures. “Graduate engineers were just not industry-ready and that was causing a big issue for employers. The answer was a blended-learning approach whereby our graduates would do 30% theory in the classroom and using digital technology, with the rest of the time spent on applying the knowledge they were gaining direct on to practical situations.